There are a lot of people buying Teslas these days now that there’s a more affordable option in the Model 3. It’s a sweet car. All Tesla cars are nice. Electric is cool. Once you go electric, you’ll never go back. But if you’re on the fence and want someone to talk you out of it, here are 5 reasons to not buy a Tesla, coming from someone who has owned a Model S for three years. It’s going to a while before we understand how much it costs to fix a Model 3. But when it comes to body shop work on a Model S or Model X, it’s really expensive. Take a look at the picture at the top. Some unfriendly person hit our car in a parking lot and didn’t leave a note. It left quite a dent but only on one panel. Take a guess at how much it cost to fix this. If you guessed “more than $10,000”, you were right. Our insurance covered the hit-and-run. But the cost of fixing a Tesla means that insurance is very expensive. The insurance cost wasn’t bad when we first bought our Tesla. But premiums soared as insurance companies figured out the cost of fixing these vehicles. As my agent tells it, they’ve had to total cars that normally would cost $20k-$30k to fix. 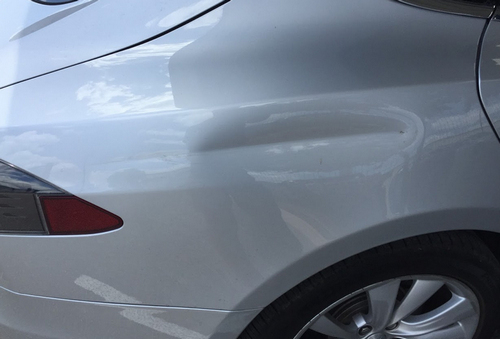 And then there are the dings and bumps that would cost a few grand to fix on most cars that cost $10k. Be prepared to shell out a lot of money to insure your Tesla. Body shops have only one source to get Tesla parts: Tesla itself. The same goes for fixing things at a Tesla service center. This means it can take a long time to get a Tesla fixed. Case in point: a rock hit our windshield and we need to get it fixed. On most cars, this is something that can be fixed within a couple of hours by a mobile installer. But you won’t find many windshield companies that can do Tesla windshields. We had to get it through Tesla and it took two weeks to get it in. Oh, it also costs $1,300. That’s a lot more than most luxury cars. Tesla is still trying to figure out how to service cars. You have to wait a long time to make an appointment and then service is slow. I dropped my car off yesterday afternoon for the windshield replacement. They are also swapping out the HomeLink module that failed. I figured they could turn it around that afternoon. Instead, they informed me it would probably be two days! It’s because they’re so backed up. I’d rather have them tell me to bring my car in when the mechanics will be able to do the work. In the early days, they used to give you a Tesla loaner. Those days seem to be over because they are selling all available cars. Now they’ll get an Uber for you or a rental car, but rarely a Tesla. Most premium car brands give you a loaner in the premium brand. You know when your phone gets a software update and things break? Or the user interface changes and you have to re-learn how to do simple tasks? That’s what owning a Tesla is like. On the one hand, it’s cool that Tesla can push updates to your car. On the other hand, these updates often break the car. Earlier this year one update had a bug that caused your dashboard to frequently reset while you were driving. Yes, while you were driving! It took a couple of weeks to push out a fix. Tesla released an entirely new user interface a couple of weeks ago. The timing wasn’t smart since Tesla support was already overwhelmed with new Model 3 buyers. The interface takes a lot of getting used to. But it also took out one of the safety features that many people use–the ability to keep a rearview camera at the top of your screen while driving. Tesla pushed out a fix for this within a couple of weeks. Yet it strikes me that Tesla doesn’t really understand how people are using its interface. If it did, it wouldn’t have removed the rearview camera option in the first place. Yeah, Tesla is still cool. OK, if you have the money, buy a Tesla. All of their cars are awesome. Just be aware that it won’t be a panacea. Driving a new car is exhilarating, even if the initial excitement is short-lived. But the process of buying one is rarely so: Pushy dealers. Endless negotiations. Upsells. It’s even worse when you buy a used car. Many dealers shunt you off to a second-rate sales experience when you opt to buy used. For many reasons (worthy of another post) I prefer to buy late model used cars whenever I can. After my family’s second car finally called it quits over the winter holidays, I begrudgingly set out to find a replacement. My first stop was CarMax. CarMax has a lot of good things going for it. If you’re trying to narrow down a short list from a lot of different cars, you can check many of them off your list in an hour or two at CarMax. They carry just about every make and model. It’s very efficient. This was my first time test driving at CarMax and I came away wondering how the company stays in business. I sold a car to CarMax a while ago and the process was very easy. But just about every car I test drove at CarMax had a problem with it. The plug-in hybrid had no battery life left. Worse, it had a serious transmission problem. Another car had a flat tire and was running on run-flats. Another had a seriously jacked suspension. It was almost comical. When I got into each car I played a guessing game about what would be wrong with it. My next stop was to the luxury brand dealer used car lots. It was a step up from CarMax because the cars actually worked. But I was flummoxed by a couple of things. 1. I had a few specific requirements for the car, including a backup camera. I found that most dealers are inconsistent in how they label the features their used cars have. The BMW dealer was particularly frustrating. Its website had a horrible user interface. Figuring out which options the cars had was almost impossible. 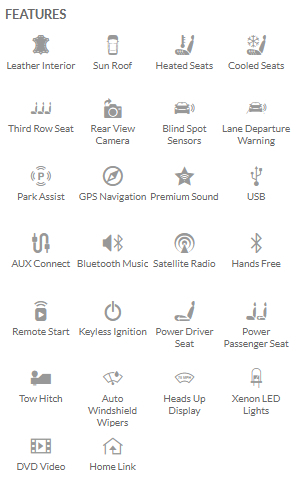 Some car listings had all of the features listed while others had just basic info. I was shocked at what happened next. He literally opened the website, went to each car listing individually, and clicked through all of the pictures looking for which ones had photos of a backup camera! Frustrated with my real-world experiences, I decided to check out online car sellers. The idea of buying a used car sight-unseen might be scary to you. I’ve done it before, though. Online-only used car sellers tend to have generous return provisions to make you feel comfortable. For example, Carvana has a 7-day, no questions asked guarantee. And compared to all of the dealer sites I visited as well as used car aggregator sites like AutoTrader, the user interface and search features were much, much better on Carvana. I found a 2015 BMW 3 Series that met my requirements. All of Carvana’s cars have fixed prices, so there’s no haggling. You reserve your car online through a checkout process, much like buying anything else online. There’s a bit more information they need, of course. We’re talking about a big purchase with state regulations. I was paying cash for the vehicle. Carvana needed to verify the funds and offered an online way to connect to my bank account. I was a bit uneasy about giving my bank account info to a third-party tool, so Carvana did a simple phone verification instead. They called me and then three-wayed with the bank to confirm the funds. I spent a total of about 10 minutes online and 10 minutes on the phone to complete the process. There was one drawback to buying a used car at Carvana rather than a local used car dealer. 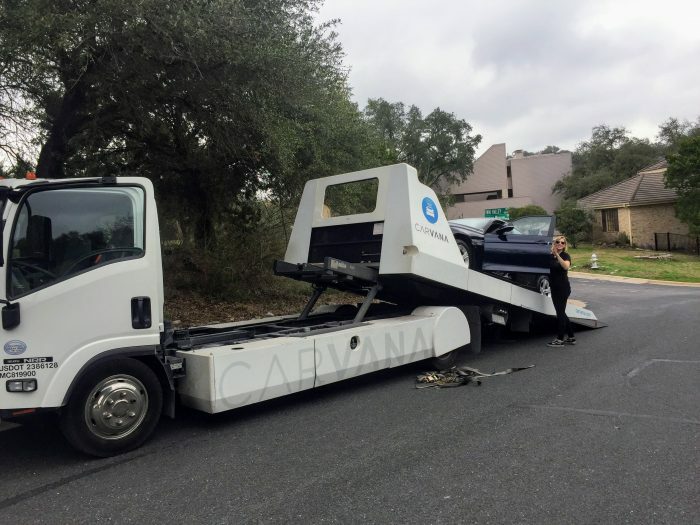 Carvana required me to add the car to my insurance before receiving the car. When I buy a car from a dealer in Texas they need to see that I have insurance but I don’t need to add the new car. Since my insurance company covers new cars for 30 days without adding them to the plan, buying a car at Carvana essentially required me to pay for an extra month of car insurance. Carvana has a cool gimmick for getting your car. They have “car vending machines” in select cities including my hometown of Austin. Your car is delivered via an elevator and conveyer belt from a five-story machine. My delivery person called an hour before my scheduled delivery to verify I would be available. She then showed up right on time and unloaded the car (see photo above). She let me take the car for a quick spin to make sure there wasn’t something obviously wrong with it. Next up was about 5 minutes of signing paperwork. That was it. Then I had seven days to drive the car and get it inspected. Any problems? Just return it. This review is going to be a bit different from others you read because I ended up returning the car and testing the return policy. The car came with “keyless entry and ignition”. I assumed that this meant there was a button on the door that I could press to unlock the car. My retired Infiniti from 2007 had this feature. So surely a 2015 BMW would. But everything on a BMW is an option. It turns out that opening the door without taking the keys out of your pocket requires an additional package called Comfort Access. This package is part of another package, so it wasn’t listed on Carvana’s listings. When I realized my mistake a couple of hours after getting the car I felt a pit in my stomach. What an idiot. This was one of the few must-have features I wanted and the car I selected didn’t have it. It was a true face-palm moment. So it was time for me to test Carvana’s return policy. I called them up and told them I wanted to return the car. No problem, sir. And no questions asked. Maybe they would have asked if I didn’t tell them why I was returning it. But they didn’t give me any grief. They offered to pick the car up within 48 hours. At this point, I was so enamored of the company and how it operates that I offered to return the car to their vending machine. I wanted to see what it was all about. I returned the car the next day. The entire process at the vending machine took about 3 minutes. I signed a piece of paper and they initiated an ACH transfer back into my bank. They even paid for an Uber for my ride home. If you’re in the market for a used car, I recommend checking out Carvana. 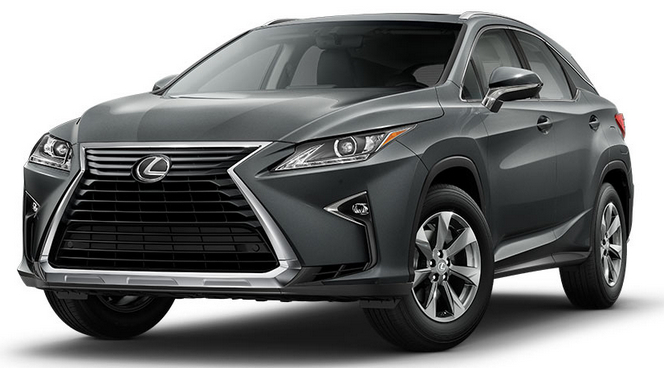 An Experian study says the Lexus RX 350 is the most-purchased luxury vehicle. Credit agency Experian released data this week about luxury car buying, and I’m a bit surprised by one statistic: only 16% of luxury car buyers pay cash. It turns out that the majority of luxury vehicle buyers lease their vehicles. 54% lease and 30% get a loan. While general financial wisdom is that you should buy rather than lease a vehicle, there are plenty of circumstances where this isn’t true. Even taking out a loan can make sense depending on the rate and your alternative use for the cash. Still, the fact that 84% of luxury car buyers lease them or get a loan suggests that many car buyers should probably look at a less expensive car. The average loan on a luxury car is $42,876. The average monthly lease payment for a luxury vehicle is $592. One of the 5 ways to get more enjoyment out of spending is to buy things that save you time. Another way to get enjoyment from spending is to give things to others. Combine the two and you should get double the happiness! Here’s a way to do that: Gift someone a Roomba. The only regret I have about buying a robot to vacuum my floors is that I didn’t do it sooner. Now, when my dog is shedding becomes visible, I just push a button on the Roomba and it goes to work. It vacuums the floor and then returns to its docking station to charge, all without intervention (usually). It’s much easier than pushing around a vacuum. In some ways it’s superior to a regular vacuum. It cleans hard-to-reach areas like under a sofa. It also picks up a lot of dirt that regular vacuums leave behind. It amazes me when I run it in the bedroom after the floors have just been vacuumed. It still manages to fill up with dog hair and dirt. The only complaint I have is that it tends to get stuck underneath the lip of cabinets. The Roomba is just the right height to get wedged underneath. A robot vacuum won’t replace your regular vacuum, but it’s a great tool to clean the floors between visits by the maids. There are two well-known brands of robot vacuums: Roomba and Neato. 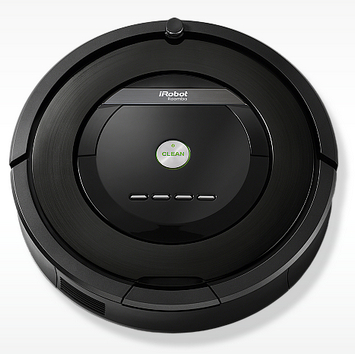 Roomba is the most popular, but Neato is a more efficient cleaner. The Roomba takes a seemingly random path around your floor. It can be annoying to have it travel to a corner and pick up some of the dirt, only to skip nearby dog hair and travel to the opposite side of the house. Sometimes it takes 15 minutes for it to return to the spot it missed. I did the homework before last Christmas and went with Roomba, but the Neato might be just fine for you. I recommend getting at least an 800 series Roomba. Maintenance on earlier Roombas was quite extensive. Since the whole point of a robot vacuum is to save you time, why buy one that requires constant upkeep? Other than emptying the waste bin, the 800+ series robots require about 5 minutes of maintenance every 10-15 times you run them. Pro tip: Save 20% on a Roomba using a 20% coupon from Bed Bath & Beyond. The coupon states that it doesn’t work on 800+ series Roombas, but that’s not encoded on the coupon.